Looking floggers that will stand out in your toybag? Dominant Submissive Collection Chain Whip. Take a walk on the wild side. Flexible chains can be used for delicate tickles ,hard spank, or a little prickle with spikes. The Quad demands a firm hand. Measuring 18 inches of premium silicone molded in a single piece, this strong, versatile flogger is designed to make your subs quiver in anticipation. 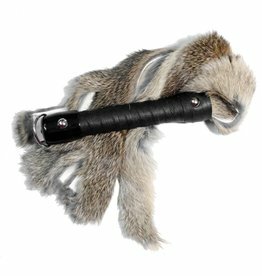 You'll love the sensatins this bull hide finger loop flogger, will bring to you. Hand-crafted with amazing attention to detail, this luxurious glass flogger will leave you breathless. A great option for folks with wrist, finger, arm and elbow mobility issues, these floggers allow the momentum of the tails to do most of the work!